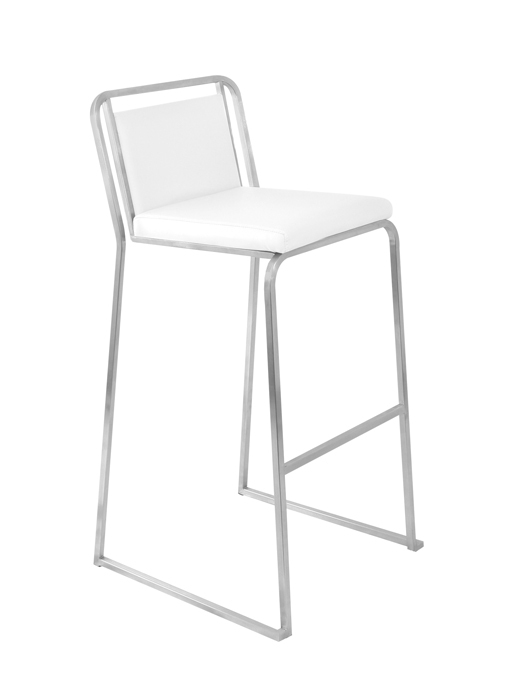 Cascade Bar Stool Product Size: 18.5” W x 19.5” L x 37” H Seat Height: 29.5” H Product Weight: 16 lbs. Stainless steel finish, stackable, and padded mid-back Leatherette cushion support make this perfect for the kitchen or bar. 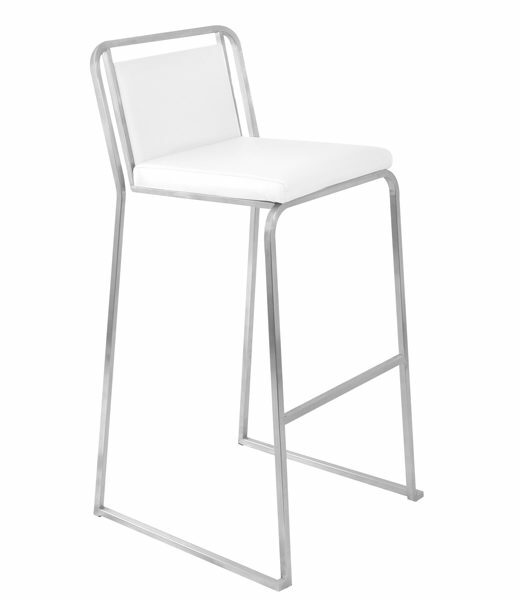 The Cascade Bar Stool comes in a set of 2. Sold in Pairs. Price is for each.